Pack 62 is now using Scoutbook. Click on the image below for information on how to use the site. 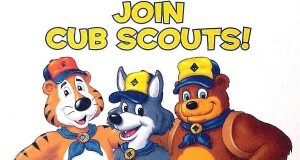 Join Pack 62 at one of our upcoming recruitment nights to get more information about Cub Scouts. We will be at each schools supply drop off time. Please visit our calendar for specific dates and time for your child's school. For new Scouts (and those updating their uniforms), check out the Uniform Requirements page.